Oh, the rainy season has begun, but let’s not stop hooping. In fact, we have a bunch of hooping events planned all the way through summer. Mark your calendars and check Facebook for details and updates. @ Hoopie Garden in Nagano! 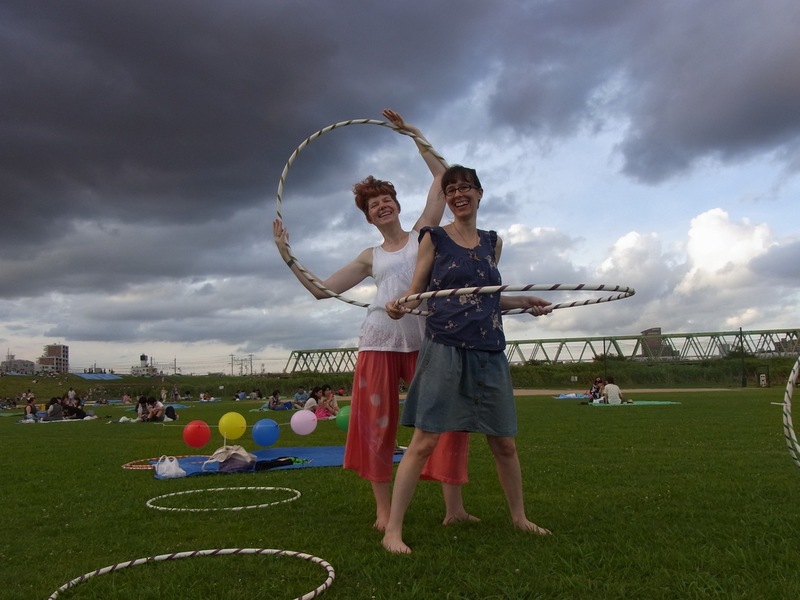 And don’t forget there is also InoPoi on the 1st Sunday of the month from 1 pm at Inokashira Park, Hoop Lounge monthly (the next one is July 3), Shonan Earth Poi on the 1st Saturday of the month from 2 pm at Kandai Koen in Fujisawa, and weekly meetings of Shinjuku Zatsugidan fire artists. If you know of other regulary scheduled events, or special summer festivals and activities where hoopers are welcome to play, leave a comment below.